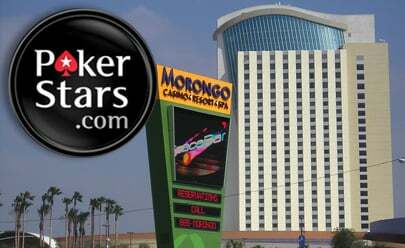 PokerStars’ designs on the potentially huge California online market took one step closer last week, following the announcement that the world’s biggest online poker site has officially sealed a deal with the Morongo Band of Mission Indians, as well as the state’s biggest card rooms: the Commerce Club, the Hawaiian Gardens Casino and the Bicycle Casino. Rumors of the agreement, which will theoretically allow PokerStars to provide its new partners with online poker software and infrastructure should regulation come into force, surfaced in March, but were made official in a press release just recently. It’s understood that PokerStars is seeking to be a front-facing brand under the agreement. 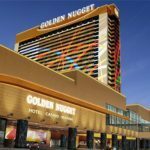 “We’re pleased to announce our agreement with these established and proven organizations that represent millions of California poker players,” Morongo Chairman Robert Martin was quoted as saying in the release. “We’re confident that, together, we can offer a safe, secure, high-quality online poker experience that brings financial benefits to California while providing the highest level of accountability, choice, service, and protection for consumers,” he added. The release was timed to coincide with California’s Assembly Committee on Governmental Organization hearing last week, at which the hot topic of debate was the “bad actor clause” and whether it should be included in a California bill, as it has been in Nevada and New Jersey, in legislative proposals so far. The clause would ban companies that continued to accept US bets following the passage of the Unlawful Internet Gambling Enforcement Act (UIGEA) in 2006, thus precluding PokerStars from operating in the state. 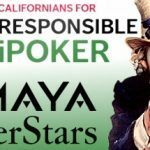 Most of the California tribes are all for the clause, of course, fearful that it would be impossible to compete in a regulated market that included a well-known brand such as PokerStars. 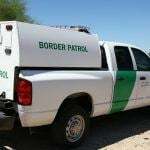 The California Tribal Business Alliance recently announced that it would block any legislation that might allow PokerStars to be a part of the Golden State’s online gambling market. However, Martin testified at this week’s hearing, arguing that a bad actor clause would limit the scope of and potential of the market. “Efforts by a select few interests to rewrite longstanding and effective policy in order to gain a competitive market advantage or to lock out specific companies is not in the best interests of consumers or the state and will be vigorously opposed by our coalition, online poker players and many others,” he said. PokerStars responded swiftly.“[We have] a great history with California poker players, who want us in the market. 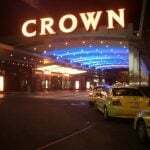 We are the worldwide leader in regulated online poker and hold more national licenses than any other operator. We look forward to bringing our best practices in responsible gaming, online security, e-commerce, protection of players’ funds and game integrity to the California market,” said Guy Templer, Group Director of Strategy and Business Development for the Rational Group, PokerStars’ parent company, in the press release. With a population of over 38 million, California has the potential not just to the biggest online gambling market in America, but also one of the biggest in the world. It is probable that California will be the next state to regulate online internet gambling, but it’s unlikely to happen this year.